Government on Monday said Food Safety and Standards Authority of India (FSSAI) is testing more Maggi samples collected from different states in the wake of UP FSDA finding monosodium glutamate and lead in excess of the prescribed limit in the instant noodles. 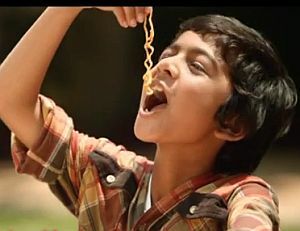 While complete report of the tests are expected in the next two to three days, the government said Maggi brand ambassadors will also be liable for action if advertisements are found to be misleading. "FSSAI has taken up the case, it will take action. We have already written to the FSSAI," Food and Consumer Affairs Minister Ram Vilas Paswan told reporters here. He, however, said the consumer affairs department has not received any complaints from consumers on the Maggi issue so far. Elaborating on the steps taken by the government on the issue, Consumer Affairs Additional Secretary G Gurucharan said: "FSSAI has taken samples from all states. Testings are being done. Some reports are expected today and within 2-3 days we will get complete reports." All parameters are being tested, he added. If there is any violation, FSSAI will take action, he said, adding that the Consumer Affairs Ministry can also file class action suits. When asked if action will be taken against Maggi brand ambassadors, Gurucharan said: "Yes, they would be liable for action if advertisements are found to be misleading." Under FSSAI act, there are provisions to enforce corrective acts and impose penalty, he added. Comments from Nestle India could not be obtained as e-mailed query to the company spokesperson remained unanswered. Last week a case was lodged against Nestle India by UP food regulator FSDA in a local court at Barabanki in Uttar Pradesh over safety standards of its Maggi, while actors Amitabh Bachhan, Madhuri Dixit and Preity Zinta were also separately dragged to court for promoting the 'two-minute' noodles brand.